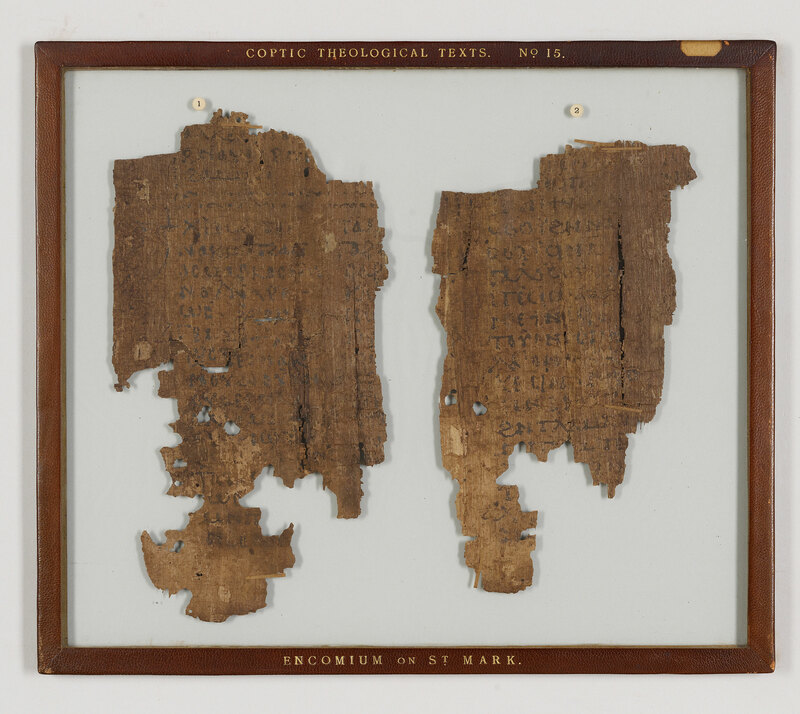 Manuscript fragments from two leaves of a papyrus codex which may be an encomium on St. Mark Evangelist; written in Egypt. Text: Title (only the end is preserved): "last day of the month of Barmūda (April 25 Julian). In God's peace. Amen." 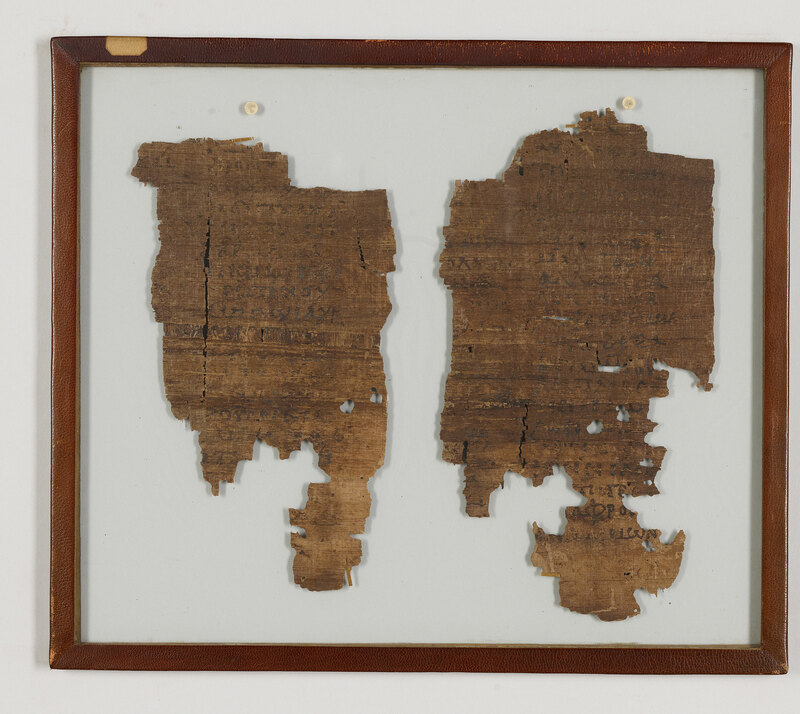 Incipit: "I owe you a great debt, O holy Mark." Edited and translated into English by Crum. Divisions: Ekthesis, slightly enlarged initial, and paragraphus sign (zeta-shaped coronis) setting off paragraphs; title on the recto of fragment (1) separated from text by a double dot-and-dash divider. Superlineation: Non-standard. Punctuation: Raised dot in conjunction with a space. Tremas.